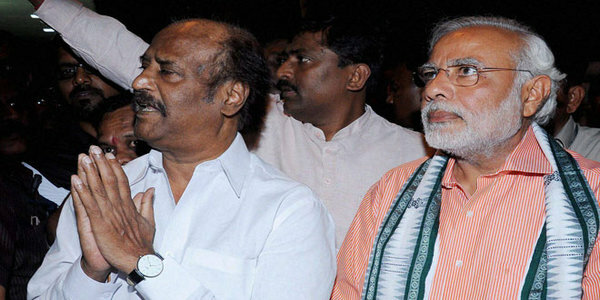 Endorsing the existence of a “Modi wave” across the country, MDMK leader Vaiko today said the BJP’s Prime Ministerial candidate becoming the next Prime Minister was a certainty even without taking into account the 40 seats of Tamil Nadu. “There is an immense Modi wave across the country. 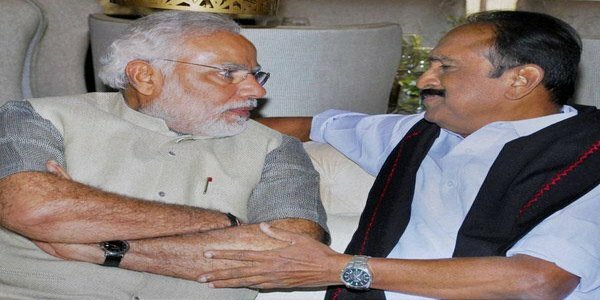 He will certainly become Prime Minister even without taking Tamil Nadu and Puducherry’s 40 seats into account,” Vaiko, whose party is part of the BJP-led alliance, told reporters here after releasing the MDMK manifesto.MDMK is contesting from seven constituencies in Tamil Nadu. Reacting to Chief Minister Jayalalithaa’s remarks at an election rally that votes to parties other than the AIADMK would “go waste, Vaiko said there should not be a situation where Congress is lent outside support in the formation of the next government at the Centre. “She is entitled to her opinion. But I believe that your vote is wasted if you vote for anyone other than BJP alliance as any other party might try to get outside support of Congress just for power,” Vaiko, who is contesting from Virudhunagar said .